In Romania, the ceremonial of the symbolic renewal of the calendar year at the turn of the year, the night between December 31 and January 1, is called the Burial of the Old Year or, more recently, New Year’s Eve. On New Year’s Eve, when evening falls, there appear ‘the disguised ones’. 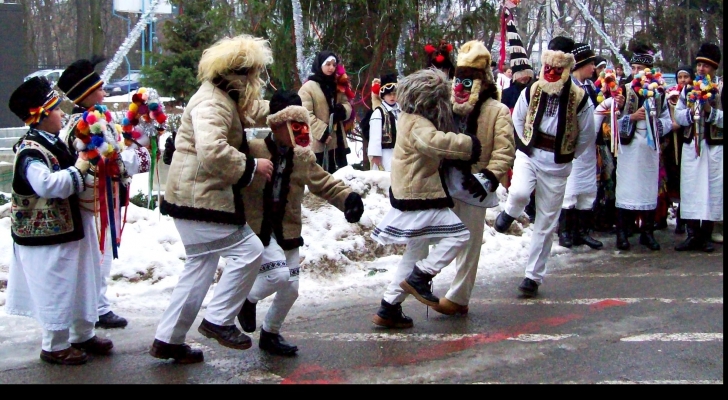 In some villages in Bucovina (northeastern Romania), ‘the disguised ones’ are said to walk through the fog. 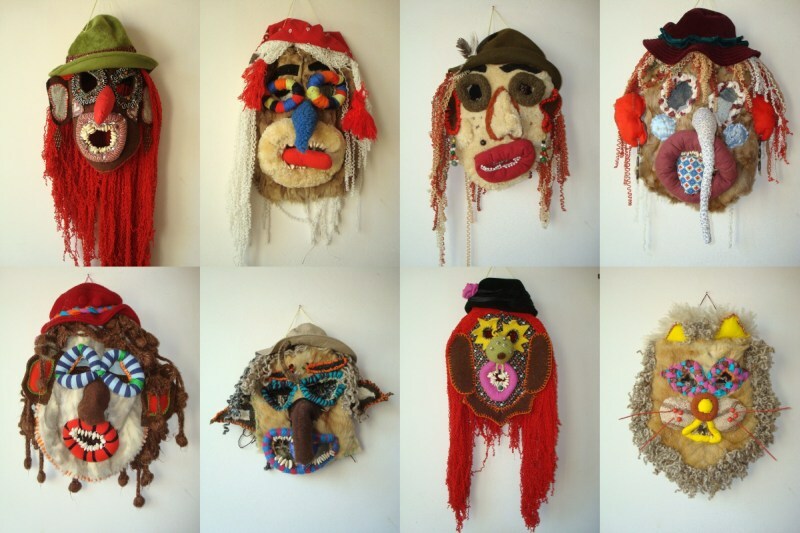 They bear masks that help them personify wolves, goats, little horses, stags, the beauties of the New Year, devils, bear leaders etc. As soon as the evening falls, the large group divides into small groups that go wassailing from door to door, till dawn, when the New Year is finally installed.